1. a plan or drawing produced to show the look and function or workings of a building, garment, or other object before it is built or made. I guess I should have read the definition of design before I started this Quilt of Valor. My plan-as-I-go design technique is not going anywhere. However, I am finding inspiration in the “art” of the quilt so far. I love the bright, patriotic fabric. I am excited about creating something that I hope will project an”emotional ” empowerment for the recipient of this quilt. To date, I have made a 56″ x 56″ center square. My current plan is to build the quilt vertically with another sash and a row of 8″ blocks on the top and bottom. A few months ago, I found this Scrappy Flag Quilt free block pattern on Craftsy. It was designed by Diane Knott. There were some red and white scraps in my stash box that came in handy. The blue is a remnant from the fabric I used for the big star block. I don’t know exactly how these 8″ blocks will work into the design, but they will not go to waste if there is a change in my plans. I can always use them in some other quilt or donate them to the QOV group. A rainy morning caused us to have a change of plans for this Memorial Day. It has still been a great day. I started the day reflecting and sending a prayer and a thank you to all who have lost their lives in the service to our country. When I was teaching, my students and I would spend the week before Memorial Day reading and talking about people who served in the military. The students would talk to their families about friends and family members who had died while serving our country. My school had quite a few military families. We wrote poems and letters, and drew pictures. We often times had guests come speak to the class. John Phillip Sousa marching music. So, this morning, I played some Sousa music and started assembling the QOV. I have a bit of directional confusion, so even though I checked and double-checked before I sewed, I still had to rip and redo. However, I was happy with the results. My daughter-in-law helped me choose the main fabric for the stars. The next step is the borders…and I am not sure what to do. I want to make it longer than it is wide, and I am finding that a bit challenging. It is a 48″ x 48″ block. I have plenty of fabric for keyboarding strips and sash. So much of what we do is ephemeral and quickly forgotten, even by ourselves, so it’s gratifying to have something you have done linger in people’s memories. It has been a great weekend. My nephews invited my sisters and I to attend the San Antonio Symphony concert. It was a night of music by John Williams. My sons played John Williams music when they were in the high school orchestra, so the night brought back sweet memories. I am not the greatest at taking selfies. This morning, my siblings and I extended our Memorial Day celebration with a breakfast. I always enjoy time spent with my sisters. Wish my brother could have been here. Last night, my son sent me a video of the graduate opening the gift of the Transformer quilt and pillowcase that I made. The surprise and delight, along with his enthusiastic commentary, made me smile. Seeing this reaction of someone receiving something I made, inspired me to begin working on the quilt of valor. The design I chose was the Big Star Block. I spent about two hours cutting the blocks and making half-square triangles. It did not take long to piece the triangles. Tomorrow, I will assemble the sixteen blocks. These were the first blocks that I cut and pieced. I found some white stars -on -white fabric that I thought would look nice as part of the star. The other white blocks will be plain white. Tomorrow, I will assemble the Big Star Block and add a sash. I haven’t figured that out just yet. If it doesn’t rain as predicted, I plan to spend some time at Brackenridge Park. After a great time with my son and daughter-in-law, I have spent a day trying to catch up on some sleep. I was too busy having fun to rest and sleep while I was in Mckinney. Thursday was my first day back. Although, last night, I did manage to finish the sundress that my daughter-in-law and I started. Now, it is time to finalize my plan for the Quilt of Valor. When I visited the Quilting is Happiness shop in Mckinney, I saw this big star block quilt hanging on the wall. I thought it would be a perfect center for a QOV. The shop had a large diamond ruler to use in making this block, but I did not want to pay $55. It would be a good tool to have, but how many times would I actually use this? I realized that the same block can be made using large squares and half-square triangles. So, I drew a plan that I think I might use. The star blocks would be 12 inches, resulting in a 48″ x 48″ center. The star block quilt at the shop was a bit larger, but I think 12″ blocks would be large enough. I would add a 1″ sash around the center. But, that’s as far as I got with this design. 55″ x 65″ minimum standard. In my stash, there are pieces of red and blue fabrics that can be used. I also have been purchasing fat quarters with a patriotic theme. It would be so much easier, and more economical, if I chose a pattern first, then purchased fabric. But, this is another one of my plan-as-I go quilt designs. I am still undecided as to what design I will use. These were my original design. For my plane trip, I had bought some quilting magazines that showcased patriotic quilts. I got some ideas for borders from these magazines. I think my favorite part of quilting is creating the design. The difficult part is in deciding which design to use. My plan is to make my decision by Sunday. Today was another great day in Mckinney! My daughter-in-law and I viewed videos from Crafty Gemini and Missouri Star Company. It was so enjoyable to have someone else appreciate watching tutorials and sharing ideas. I cut the fabric for my sun dress so I could ask my daughter-in-law for help if I needed it. She is an excellent seamstress. We visited my son at work and ended up at Starbucks. This is my first day in Mckinney, and I’ve already visited the Quilting is Happiness quilt shop. There was a Sue Spargo class in session and the ladies had some beautiful embroidered products. I found some fat quarters that would be good in a Quilt of Valor design. Downtown Old Mckinney was pretty bustling and busy. There was this button covered frog in front of the quilt shop. I need to make one for my front porch! 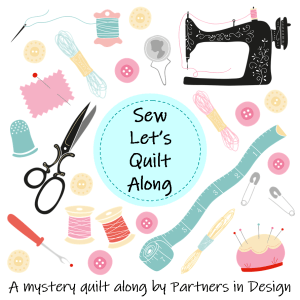 Last week, I went to Pattern Jam to try out some designs for the QOV. I used fabric photos from the collection on Pattern Jam just to give me an idea of a color scheme. This afternoon, I spent some time looking at different Quilt of Valor designs. On Pinterest, I found a pattern for a 5 point star that I thought was pretty cool. American Quilting has a great tutorial on how to Stack, Cut, and Sew Stars. Lucinda Ganderton book, Block a Day. I am a little more comfortable working with the 12″ blocks. The star is appliqued onto an 8″ block, and I know I can make that into a 12″ block. But, I just couldn’t come up with a design using the star blocks. I still plan to try my hand at the stack and cut stars, but not for this project. The blocks I chose from Ganderton’s book include: Mississippi Spin, Spinning Heart, Variable Star, Pennant, and Friendship Star. I originally planned a quilt with three rows, sashes, and two borders. But, the QOV site suggests that an ideal size for a quilt would be 60″ x 80″. This design did not meet the minimum size required, which is 55″x 65″. This is my second plan. As I posted this plan, I realized that I will need to turn some of the blocks to keep it symmetrical. I will be in Dallas this weekend, and I plan to shop for fabric. The patriotic fabric is out now. I have seen some at JoAnn’s and Wal-Mart. I would like to have some of the red and blue with a sprinkle of gold. Then, I can use a gold for the sash. The pennant block would look good with a star fabric and a stripe fabric. I’m thinking that the heart might be gold, if I can find one that compliments the red, white, and blue. Maybe a white on white, and a white with gold might work. I’m still not sure this is the design I will use. I will be visiting one of my daughter-in-laws and I plan to ask for her ideas. My friends and I had quite a day yesterday. Our goal was to get the photos of the park printed on fabric printing paper. We went to the Conservancy to get the photos from them and use the printer in the office. We had Ink Jet photo fabric and the office had a Laser printer! We ended up using my friend’s printer. Thursday night, I attended my second guild meeting with the Alamo Heritage Quilt Guild. It is a large group of friendly and welcoming people. Kathy Smith presented a trunk of beautiful, machine embroidered quilts. I also connected with Barbara Steers, who works with the Quilt of Valor group. The Quilt of Valor first came to my attention by Abbie. After discussing dates with Barbara, I realized that I would not be able to attend any of the group sessions. So, I will be making the quilt on my own, and Barbara will long arm quilt. In the meantime, I found some fabric in my boxes and decided I needed a granny bag. I printed photos of my two youngest grandchildren and pieced them on the front pocket.